Polyethylene knitted mesh fire retardant debris netting in black. Mesh style. Meets NYC Local law 61 and OSHA specs. Available in sizes 8’ 150’ and 8.6’ x 150’. 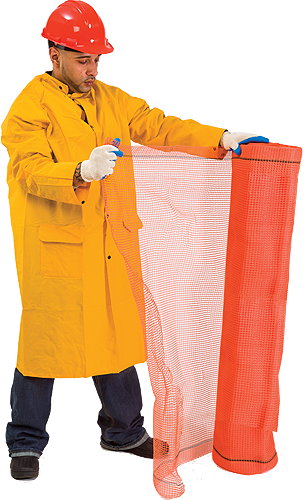 Polyethylene knitted mesh debris netting are fire retardant, high-visibility fluorescent orange, with 1/4” holes. 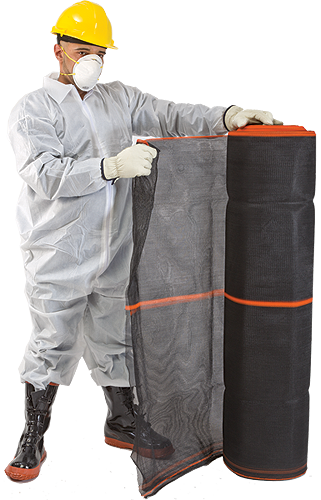 Certified incinerable for use in nuclear plants. Ligthtweight and economical. Meets NYC Local law 61 and OSHA specs. Available in sizes 4’ x 150’ and 5.6’ x 150’. Affords verticle debris protection in windy areas.